Katherine McConnell is CEO and Founder of Brighte. In 2015, Katherine was in a comfortable corporate job. 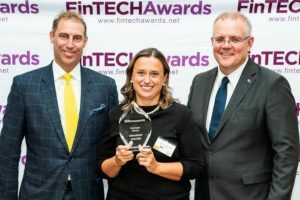 Today she is Fintech Leader of the year, running a successful, rapidly scaling business and has the backing of Mike Cannon-Brookes. I have been recruiting leadership talent for 20 years and no one has impressed me as much as Katherine. She is rightly hailed as an inspiration to female entrepreneurs. But her courage, commitment, vision and focus serves as an inspiration to everyone. Everything I have accomplished with Brighte, I had never done before, and there’s no guidebook. Of course, other people have launched successful start-ups in their own way, with their company and industry. You can read their experiences and stories, but your own journey is totally different to theirs. It can be lonely being the CEO. Sure, you have your leadership team, and you can share things with them, but ultimately, you’re the only one who’s across everything in the business. With so much skin in the game, managing the board, managing investors, it’s a unique position to be in. But the way I think about is this is a once in a lifetime opportunity. It’s like I have won the lotto, it’s scary, but it’s amazing. And it is a real privilege to be backed by investors. What are your top tips for securing investment? Katherine: My advice for seed round is this; work really, really hard. Don’t give up, have a plan, and work to that plan. Don’t go in with an open-ended presentation. Be clear and articulate the commitment you are looking for from potential investors. I learnt early on that you must have a data room. If you want to win investors over, you’ve got to know what you’re doing. We set up the data room with all the policies, processes, everything in there. We had a very slick and professional presentation in place. There were very clear next steps and everything was ready to go, it just moved so quickly from there on. Did people doubt your vision for Brighte? I satisfied none of their checklists on what makes a successful entrepreneur. The only thing they could see was my deep industry experience. Katherine: I don’t believe the stereotypical indicators of a start-up entrepreneur are required for success. I truly believe you don’t need a co-founder. It would make my life easier if I had one, but I knew I had the resilience and the strength to do it myself. I don’t agree that you need a tech background or a tech co-founder. I also don’t believe that you need previous experience in a start-up. Understanding the pitfalls may accelerate the journey, but my deep industry experience, understanding financials, understanding commercial agreements, perhaps that is more important than start-up experience? At no point did I think “I can’t do this”. I was focussed and had total belief I would make it work. I had so much belief that we re-mortgaged the house. Eventually I met my seed investors, fantastic people who I have great respect for. They saw in me someone who had put her life and her family’s life on the line. They could see I came with deep industry experience, a detailed business plan and could answer any question they threw at me. I had identified a clear problem, identified a clear market opportunity and developed a viable solution. It made a big difference. At what point did Brighte become successful? Katherine: The day after I left Macquarie I bought a MacBook, sat at my desk in Stone and Chalk with a computer and a blank pad of paper. A year later, we had built a full tech platform, vendor portal, vendor app, consumer web platform, consumer app. We had built a platform with instant credit decisioning, policies. processes and legally compliant. Within a year we were accepting loan applications on our mobile app. What we achieved in that first 12 months with just three full time people and contractors was huge. The first year was tough. We have been writing loans for two years now. The business is 60 people and growing fast. The structure is one third sales and marketing, one third tech and one third operations – credit, risk, finance etc. Initially I hired people I knew, approaching them directly. At the start of 2017 I had to go outside my network as the next phase of growth required very specific skillsets. Katherine: Today we’re able to attract great people because of the brand, our investors and the fact we are a solid business. But a year ago, no one had heard of Brighte. Attracting great people to a start-up is very difficult. You don’t have much leverage. Hiring based on values is nice but not always possible. Now Brighte is established we absolutely recruit on values and cultural alignment. Initially I hired people based on technical expertise. I consider myself genuine and transparent, I work hard, but I am a parent and need flexibility, and that means you must trust people to get things done. I didn’t set out to create a culture, I had to hire like-minded people. I am a huge believer in diversity and inclusion. I am very passionate about helping and encouraging fellow females. I want Brighte to be a diverse organization, it is easy to say, you must be pragmatic. As an example, it is tough to find female developers. There are three female developers in our team, which is fantastic, but they are very hard to find. 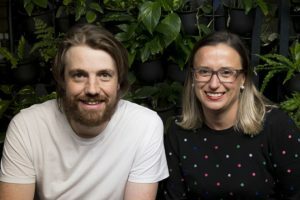 The way we have attracted a diverse work force is by accommodating flexible working arrangements, allowing people to work from home, work flexible hours or by giving extra time off over school holidays. When you give your people clear outcomes, define what success looks like and outline what contribution you expect from them, flexible arrangements work well. So, the culture at Brighte is based on finding like-minded people who share the same ethos on working together. We have a team of high-performing people, with a clear focus, clear direction, clear strategies. Everyone is prepared to do what it takes to achieve their goals. The team is so aligned that I rarely get involved in hiring now. And what does the future hold for Brighte? Katherine: We are going to keep our head down and keep working. There are new products in development we will be launching soon. And we continue to improve the Brighte solution, whether that be for businesses or consumers. We are working on solutions for our partners at the point of sale, making it easier for our businesses to process sales and grow their business. And on the consumer side we continue to develop ways for every Australian to enjoy the benefits of solar.